is there anything better than a giant cozy scarf? January's back-to-back blizzards and the two snowstorms on tap for this week have meant one thing: my scarves have been the hardest working accessories in my wardrobe. the extreme weather has been helpful in one sense – it clarifies priorities. this is no time for whims; in the dead of winter, it's about results-oriented dressing. 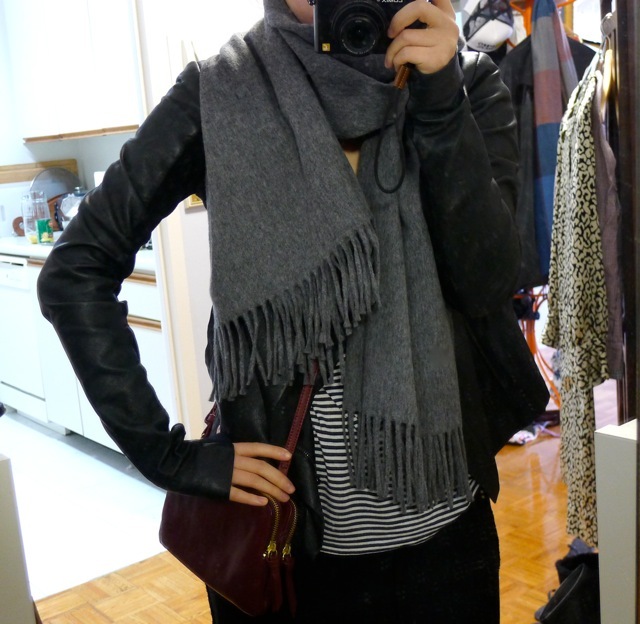 a well made scarf in a natural fiber or knit is a year-round foundation in my wardrobe. *the oversize knit cashmere (similar): when you're cursing the windchill on your way to work, this is the ultimate cozy cashmere face blanket. 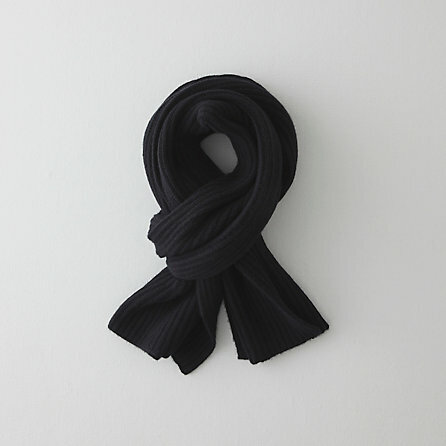 *the classic wool: i bought mine over a year ago, and up until the PV last month it was my go-to coldest weather scarf. still does a fantastic job of keeping windchill out due to its oversized wrappability (the wool doesn't collapse easily, which is great). 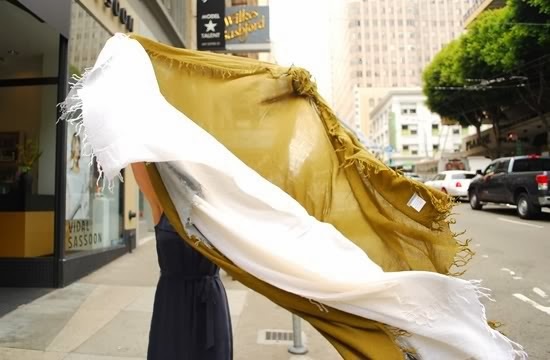 *the gauzy cashmere-silk wrap: imminently drapeable, but still oversize enough to be chic and versatile for everyday, work, travel, and a night out. what do you think? do you have any favorite seasonal scarves/shawls? my black cashmere stole i bought earlier at the Times MUJI store worked SURPRISINGLY well for me during vortex 2. it's rather "thin" but it's long enough to be wrapped around a few times snugly, and usually it makes me break out into a sweat not only after (although it could be because i always am running to my next class). I've been working this year in a minimally-heated classroom, and wearing one of my Hermes cashmere GM shawls or Chan Luu cashmere shawls every day. They are crucial at this point! This is a really great range! I have the first 2 categories although due to allergies, had to eliminate the wool and replace with surprisingly lovely acrylic instead. For the coldest weather, I double scarf up which is wearing my usual silk 90cm square plus the cashmere wrapped twice around on top. I've never been a large scarf or shawl wearer for the warmer months and it's something I'd love to explore given the flexibility and versatility options. Hope this big freeze passes for you soon! Love that photo of Clemence Poesy. My go-to winter scarf is usually a lightweight cashmere scarf, but of course, it's been many years since I have lived through a snowy winter. Thank you for this. I pounced on the SA scarf in denim blue. I've been looking for something like that. I have a handknit long scarf that I wrapped about four times during the polar vortex. I would also suggest always wearing a deep hood to trap extra heat around your cheeks and nose. I wear glasses, and the condensation makes it impossible to walk to work, so I have to keep the scarf away from my nose and mouth. Thanks for the light shawl recs, I need something lighter than my virginia johnson, but not too delicate that it will snag easily. I love a gauze or cotton voile scarf in the summer. I think one of the reasons I don't like summer is because I can't wear a scarf! In spring I wear the linen ones by Love Quotes, they always have great colors, and in the winter I have basic ribbed cashmere shawls and a recent favorite mohair mens's Saint Laurent scarf. Currently dreaming of those men's Louis Vuitton blanket capes I've been seeing on street style blogs - perfect for polar vortex! I wear a scarf or shawl year-round. Even in the summer, I always a shawl because I can't stand AC and I'm always cold unless it's like 90 °F. I could open a scarf shop with all of the scarves in my wardrobe. I can't believe I'm saying this, but the snow has been the least of the winter woes in the city this year. The wind chill and negative digits is the worst. For winter, I've been relying on cashmere and vicuna shawls of various weights (I can't do lambswool or merino due to allergies). My favorites at the moment have been a few Christian Lemaire stoles I picked up at The Line's Apartment and my Hermes cashmere and silk GM shawls.